The UK Medicines and Healthcare Regulatory Agency approved a clinical trial for an exciting algae-based gene therapy. Scientists hope this novel gene therapy could help cure the blinding eye disease retinitis pigmentosa (RP). 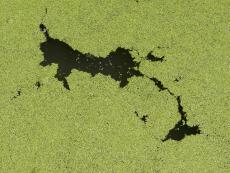 GenSight Biologics, a French gene therapy company, owns exclusive rights to this new algae-based procedure. Executives at the company said their clinical trial will involve 18 RP patients. Scientists hope to test this procedure on the first RP patient early this year. Researchers will first work with an RP patient who can still see at least 50cm in front of him. The specific gene researchers will inject into study participants is called ChrimsonR. This gene, which is derived from an algae source, can help a protein in the eye that is sensitive to red light. Ed Boyden of MIT was the first to discover and create ChrimsonR in the laboratory. Today, GenSight Biologics is the only company that has the right to use ChrimsonR in eye procedures. In addition to injecting ChrimsonR, GenSight scientists will give study participants hi-tech goggles designed to further enhance the wearer's vision. Each of these goggles has a camera that's able to record external visual data, translate it into algorithms, and send that information to the back of the reinta. Scientists at GenSight Biologics are extremely excited to be working with the UK on this major project. In addition to helping RP patients, researchers believe this therapy could help people suffering from dry age-related macular degeneration (AMD). RP, sometimes called rod cone dystrophy, is a hereditary disease that causes damage to the light-sensitive retinae. Symptoms of RP include blurred vision, inability to see in dim places, and a loss of peripheral vision. These symptoms are often first noted in young children. As of today, there's no cure for RP. There are, however, a few treatment strategies doctors could use to avoid RP-related blindness. Some of these strategies include mega-dosing vitamin A, an Argus II device, or using a guide dog. About one in 4,000 children are born with RP around the world. Founded in 2013, GenSight Biologics is committed to using gene therapy procedures to cure blinding eye disorders. Besides RP and AMD, GenSight geneticists are working on solutions for Leber's hereditary optic neuropathy. GenSight's headquarters is located in Paris's 11th arrondissement near Place de la Bastille.